http://www.corbettreport.com/mp3/2015-10-23%20James%20Evan%20Pilato.mp3 This week on the New World Next Week: The Obamessiah descends on West Virginia to lecture on drugs; Cops request DNA from private DNA databases; and Dupont loses first of 3500 lawsuits over Teflon poisoning. 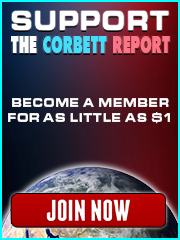 http://www.corbettreport.com/mp3/2015-09-25%20James%20Evan%20Pilato.mp3 This week on the New World Next Week: an ex-Nobel committee exec admits to Obama regrets; Volkswagen crashes after emissions scam revealed; and Happy Birthday is public domain. 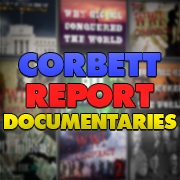 http://www.corbettreport.com/mp3/2015-09-17%20James%20Evan%20Pilato.mp3 This week on the New World Next Week: the White House argues for software backdoors for the alphabet agencies; New York braces for anything as the Pope visits the UN; and libraries of things catch on in the sharing economy. https://www.corbettreport.com/mp3/2015-03-20%20James%20Evan%20Pilato.mp3 This week on the New World Next Week: Opposition rises to Canada’s terror bill; Obama admin slammed for secrecy; and Cisco does dead drops to avoid the NSA. http://www.corbettreport.com/mp3/2014-12-16%20Larry%20Pinkney.mp3 Larry Pinkney of BlackActivistWG.org joins us today to discuss how and why so many well-meaning Americans were bamboozled by Obama’s “hope and change” routine in 2008. We discuss the failed establishment left/right paradigm and how the misleaders of the left who rally their flock around the Democrat flag every election cycle, as well as how community activism can lift us out of the cycle of abuse inflicted on the people by the political machine.